A worker marked boots that were returned to the L.L. Bean retail store. The great L.L. Bean returns racket is finally busted. The storied outfitter announced Friday that it has ended its generous century-old returns policy that effectively allowed customers to return virtually anything, no matter how old or beaten up, saying it had become too costly. L.L. Bean officials said the company has lost $250 million on returned items in the last five years, with the number of returns doubling in that period. The annual losses on these items alone were “equal to the amount of revenue generated from Bean boot sales,” they said. A new, one-year return policy is effective immediately, and the change triggered a range of responses from Bean customers, and more than a few confessions about questionable returns they’ve made in the past. Annemarie Lewis-Kerwin recalled her mother urging her to exchange a frayed jacket she bought five years earlier. 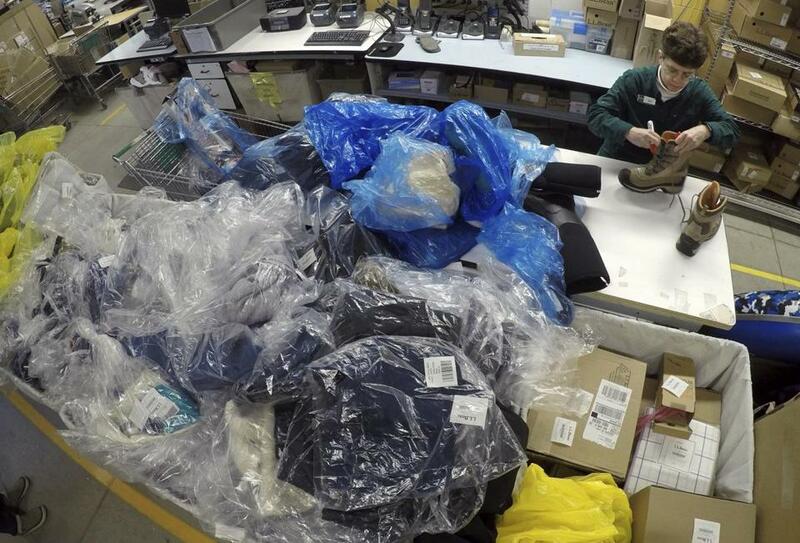 The outdoor specialty retailer said returns of items that have been destroyed or rendered useless, including some purchased at thrift stores or retrieved from trash bins, have doubled in the past five years. Read: Have you returned merchandise years after you bought it? “I said, ‘I don’t believe they'll do that, this jacket is five years old.’ I did, and got a brand new coat,” the Milton resident said outside the L.L. Bean store in Dedham, adding that as a longtime customer, she supported limiting the returns policy. “I've seen people return pretty beat up L.L. Bean boots and get a new pair. Would any other company do that? Probably not. I just think it's fair." The new policy now limits returns made within one year of purchase, with receipts, although L.L. Bean said it will replace older items if they are defective. The company also said it was adopting a $50 minimum purchase for free shipping for online sales. 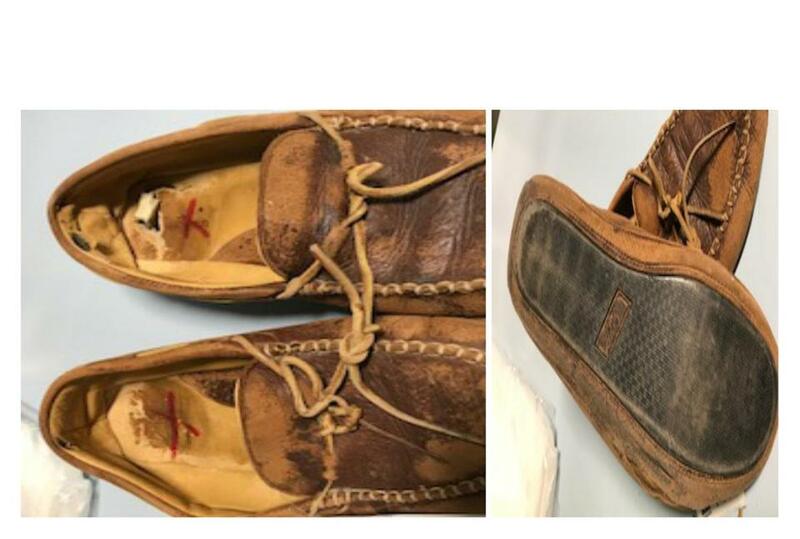 In explaining the change, the company shared images of dubious exchanges, including a worn pair of loafers, slippers with the sole detaching and a child’s ski jacket with three years’ worth of ski tags on it that had a stain but was otherwise fine. Bad actors were abusing the policy to get new versions of clothing and gear they had worn out, grown out of, or even that had been found at a thrift store or yard sale. Stories among Bean customers have become part of New England lore — kids getting a new backpack every school year, and a mother who had been exchanging the same pair of corduroy pants for the past 30 years, according to accounts posted online. One Appalachian Trail hiker recalled returning a poncho that “had burn holes, delaminations, tent spike holes, tears, blood stains, stretch marks and smelled more now than when new,” he wrote in comments to a Globe story. Spokeswoman Carolyn Beem said some customers would even brag about how they pulled one over on L.L. Bean. Beem added that more of the questionable returns were coming from people who had collected L.L. Bean items at thrift stores or yard sales expressly to exchange them for new products. 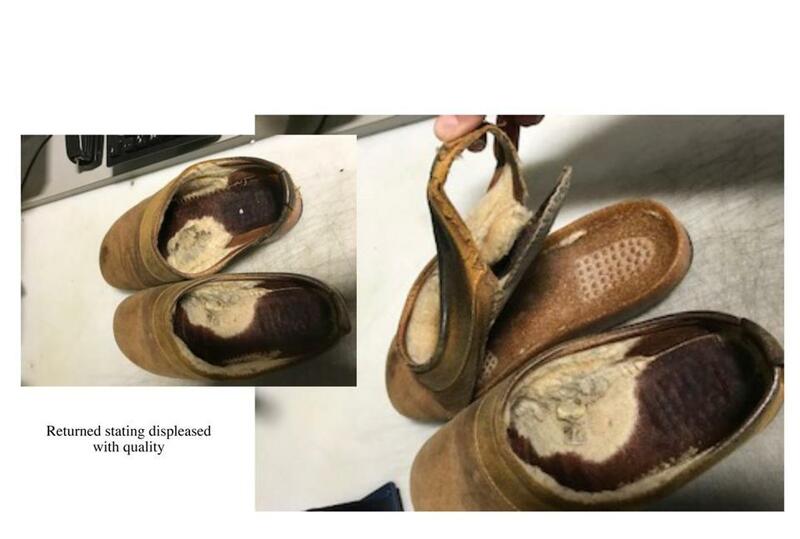 Someone returned a pair of slippers that had deteriorated to the point where the sole had detached from the shoe. These returned loafers had been completely worn through. Even a descendant of the company’s founder has a firsthand account of this. Shawn Gorman, great-grandson of Leon Leonwood Bean, told the Associated Press that he’d once seen his own shirt with his name printed in it returned to a store after he’d donated it to Goodwill. Others bemoaned the end of a standout policy that distinguished L.L. Bean from other brands. “Seriously? The only reason to pay the mark up at LLBean [sic] was you knew that product was guaranteed for life. Now all of a sudden the products I bought two years ago are no longer guaranteed? Backsies? No reason to bother now,” wrote another on Twitter. L.L. Bean is the latest retailer to limit generous policies. REI curtailed its unlimited return policy five years ago, while Nordstrom, once famously lenient on returns, changed its terms last year and no longer gives cash for exchanged items. Costco ended its liberal returns on consumer electronics after learning that customers referred to it as a "free TV upgrade policy." Sucharita Kodali, an analyst with Cambridge-based Forrester Research, said retailers usually see a high number of questionable returns from just a handful of bad actors. “Over time what all retailers will discover is that this is where it’s really important to get as much information about who bought their product in the first place, so there’s no question about the return,” Kodali said. 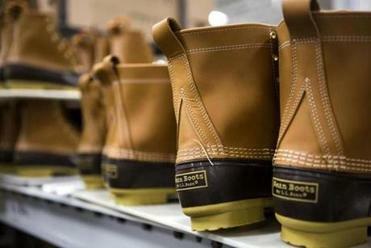 Beem said the company spent a year evaluating the new policy and talking to customers about the changes, and noted the returns policy had grown over time since it was first applied only to the company’s famous Bean boots. There was a period in the 1950s when L.L. Bean offered only a two-month window for returns. Customers interviewed outside the Dedham L.L. Bean store said they understood the reasoning behind the new policy. “To me it tells me they're catching up with the times,” said Tim Nickel, of Weston. “I have a pair of shoes I got when I was 18 years old that I still have, and I'm now 39. I feel like they've earned their keep, and I'd feel bad about returning them 21 years later just to get a new pair. For them to stay in business in an ultra competitive retail environment, they've got to make some changes." Well, @LLBean just killed the one policy that motivated customers to pay the high price for their quality. Globe correspondent Margeaux Sippell contributed to this story. Janelle Nanos can be reached at janelle.nanos@globe.com. Follow her on Twitter @janellenanos.